Southeast Bank Job Circular 2019. Trainee Assistant Officer Job Circular 2018. 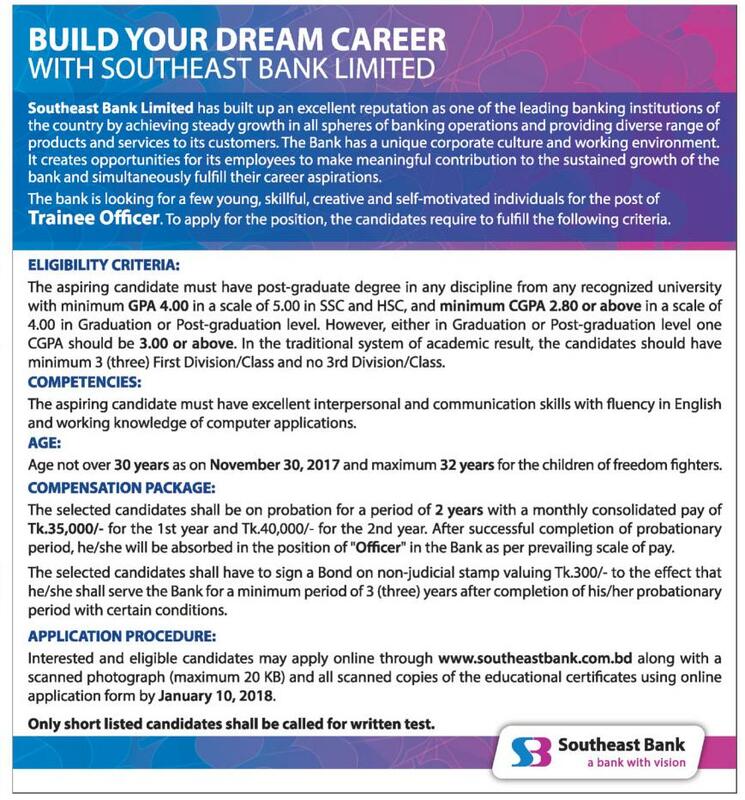 Southeast Bank Limited Management Trainee Circular 2018. Southeast Bank exam date, result. SEBL has offered job opportunity from qualified experienced & fresh candidate. 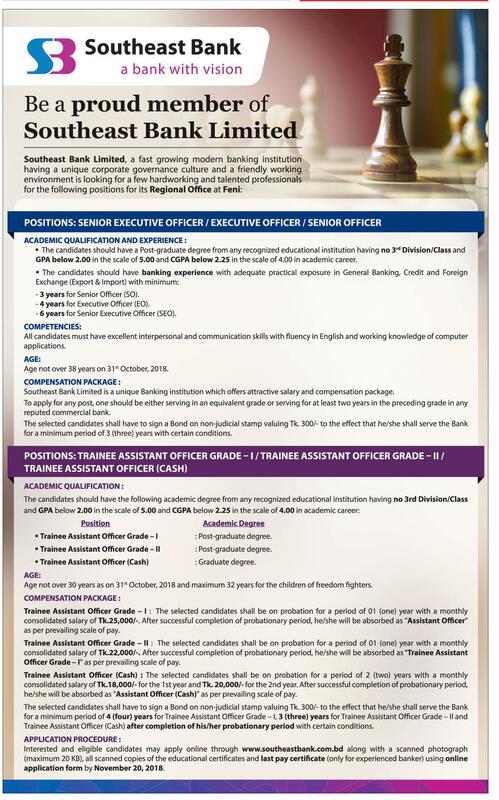 SEBL Trainee Assistant Officer Job online application have to made before November 20, 2018. 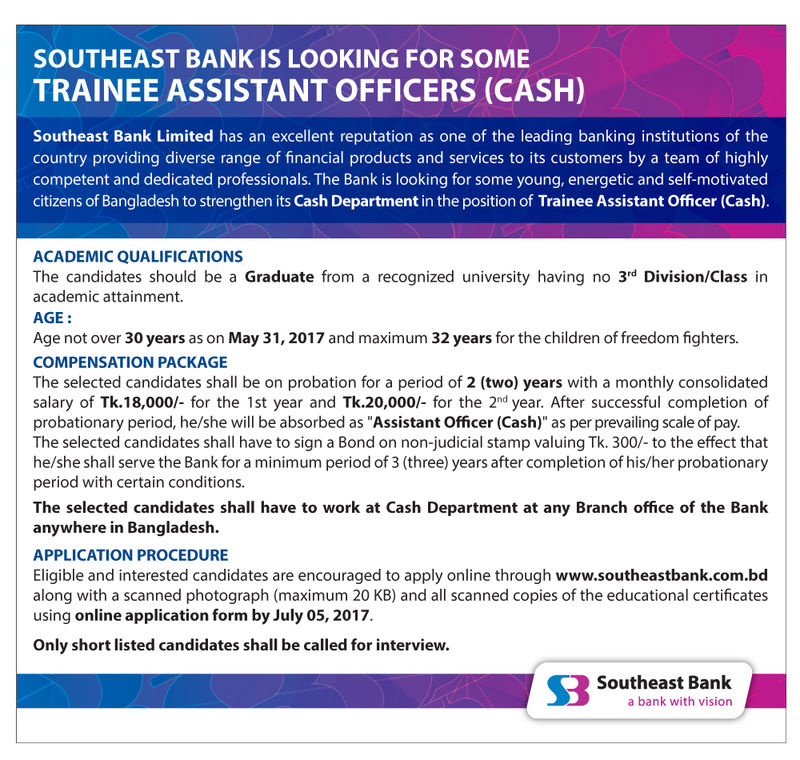 Southeast Bank has built up excellent reputation in banking industry. SEBL is looking for few skill full, creative, young, self motivated personal. 1. MBA/Masters in Political Science, Law, English, General History, Statistics, Physics etc. Selected candidates have to service min 2 years probationary period. During probationary period, monthly consolidated salary 1st year Tk. 35,000 and 2nd year Tk. 40,000. After successfully completed probationary period, he/she will promoted as Officer. They have to sign bond for 3 years service after 2 years probation time.